This DIY herbal facial steam is so easy to make and it’s a great way to naturally reduce acne breakouts, boost circulation and remove toxins. 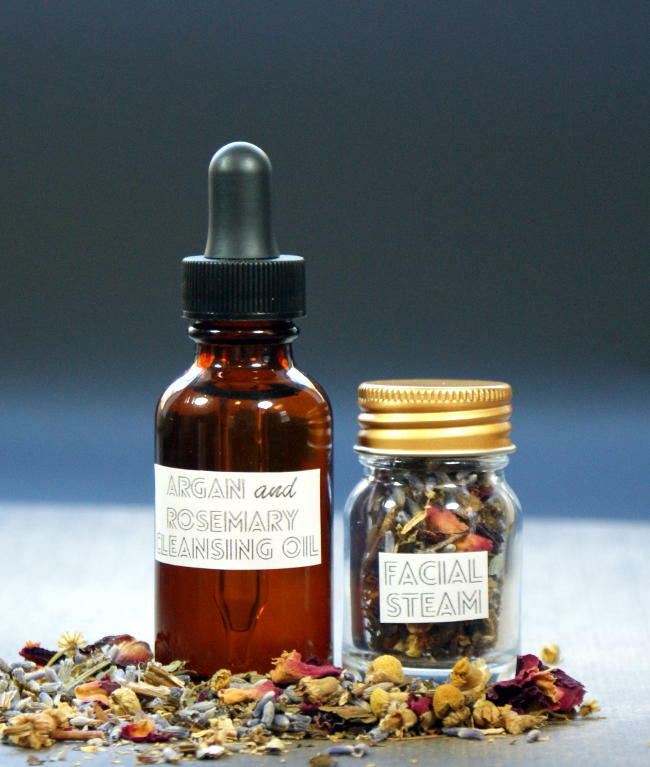 You can customize your own DIY herbal facial steam with the herbs best suited for your skin type based on their natural skin care properties or simply give my own herbal facial steam recipe below a try! 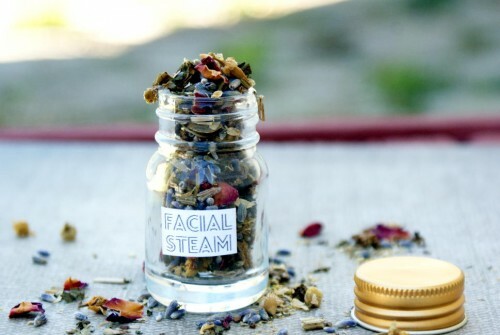 For this herbal facial steam recipe I used a packages of two .5 oz. jars manufactured from Art-C® Embellishments. These can easily be found in most craft stores in the scrapbooking section. Not only did I think these jars were super cute, but they’re also a great size for gifting these DIY herbal facial steams especially as DIY wedding favors or bridesmaid gifts! Don’t feel limited by these jars however. You can increase the recipe for this DIY herbal facial steam and use a larger jar for your personal use, or buy other jars in a size or quantity that best suits your needs. Mountain Rose Herbs carries glass salve jars in 1 oz. up to 4 oz. as well as 2 oz. spice bottles with a cork top. For larger preparations they also sell larger wide mouth with cork tops. To make this DIY herbal facial steam, use a measuring spoon to measure out the ingredients into a glass bowl. Mix well to combine, then use a funnel to add the herbs to your containers. 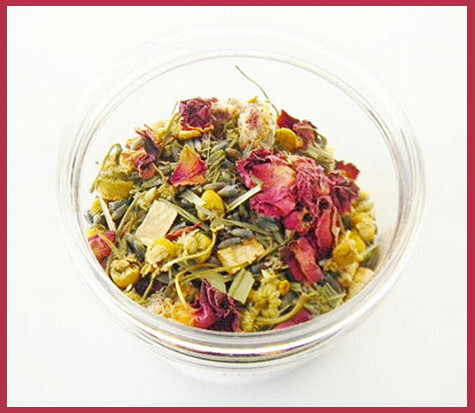 This herbal facial steam recipe fills four .5 oz. jars. To use simply empty contents of one jar into 2 cups of water on the stove. Bring the water to a simmer, then remove from heat. Tent a towel over your head over top of the pot of water and herbs for 5-7 minutes inhaling deeply. 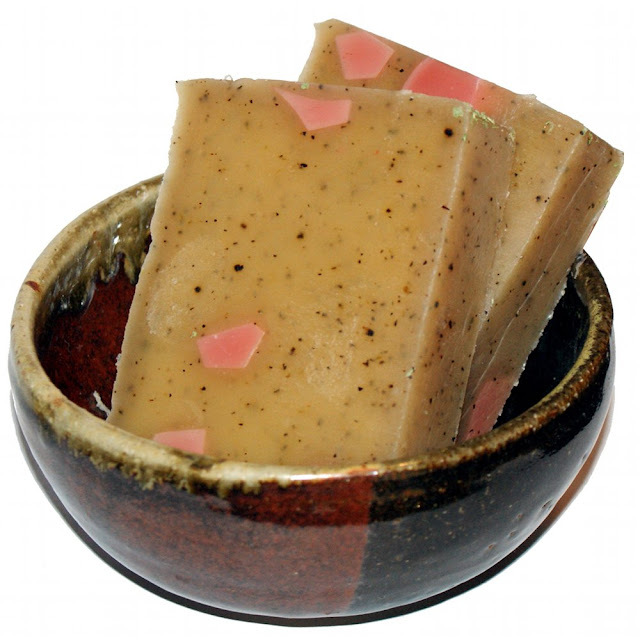 Some of my favorite handmade products are those geared toward bath, beauty and home. Therefore I thought it’d be fun to offer a giveaway to my readers for a chance to win a selection of handmade products within those categories! To put this contest together, I joined up with three other great artisans – Blackberry Thyme, Still Water Candles, and Face. Body. Feet. One lucky winner will receive handmade products from all three of these shops along with a selection of handmade soaps from my own shop, Rebecca’s Soap Delicatessen. For this contest, I’ll be giving away three of my newest handmade soap bars – Handmade Lemon and Basil Shea Butter Soap, Handmade White Tea and Ginger Goat Milk Soap, and Handmade Coconut and Lime Goat Milk Soap. ($18 value.) In addition, you can also save an extra 25% off all sale products from Rebecca’s Soap Delicatessen when you use coupon code: BACKTOSCHOOL through September 30th, 2012. 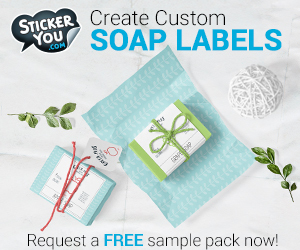 Buy as much as you want and never pay more than $6 in shipping! Teresa opened her shop, Blackberry Thyme, in November 2007 as a way to create extra income for her family. She has always loved sewing and crafting and Blackberry Thyme allowed her the chance to be creative and remain a single, stay at home mom to her two children. Teresa specializes in hand crafting eco-friendly 100% soy wax candles, wax melts and handmade soaps. You can find her products both on Artfire and Bonanza. Jacqueline got her start into natural beauty after discovering Martha Stewart’s Encyclopedia of Crafts in the library one summer. Within it’s pages was a simple, natural bath tea recipe that Jacqueline thought would be fun to make. She purchased the herbal ingredients she needed for the recipe, and then made several lavender bath tea bags for her and her husband to try. All she remembers about that night was that she slept like a baby. During Jacqueline’s research for natural ingredients and recipes, she discovered Etsy, an entire online marketplace for handcrafted items. After visiting Etsy’s bath and body section and seeing all of the great products people were offering, the seed was planted and Jacqueline started her own natural bath and body business, Face. Body. Feet. 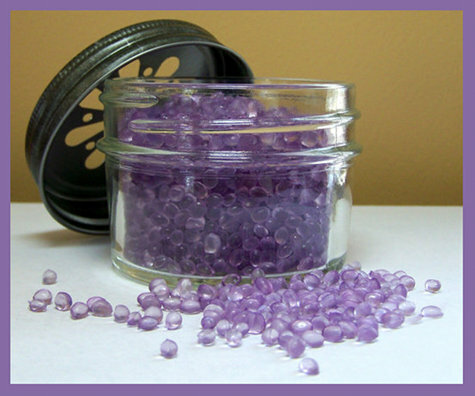 Janelle, of Still Water Candles, is sponsoring two of her delightfully scented Jelly Jar Air Fresheners for this giveaway – one in Lilac and one in Vanilla Sugar. These 4oz. air fresheners come in a cute jelly jar with a daisy cut lid to let the fragrance out. These air fresheners make the perfect substitute for areas where you can’t burn candles such as the dormitories, cars, or the office. They last much longer than candles and make adorable gifts. ($16 value.) 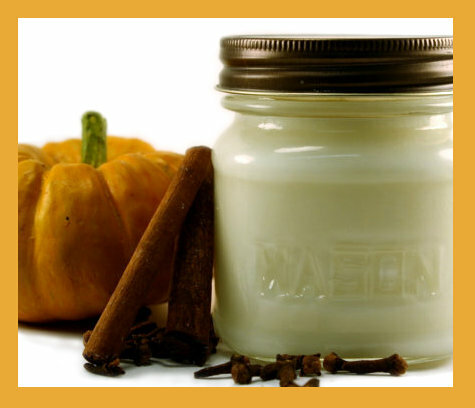 Make any purchase from Still Water Candles through October 31, 2012 and use coupon code: 20FallSale to receive 20% off your purchase. The total prize value of this contest is $50. If you’d like a chance to win, simply enter via Rafflecopter below through September 28, 2012. This contest is open to USA residents only, ages 18 and up.